How well did the Center for American Progress do in its controversial role as host of Israeli Prime Minister Benjamin Netanyahu on November 10th? In the wake of strident criticism from progressives that CAP was being played by Netanyahu who wanted to shore up Israel’s relationships with Democrats after his foray last year into Washington in partnership with Congressional Republicans in opposition to President Obama’s proposed nuclear treaty with Iran, CAP staff rebelled against its leadership and took great exception to the scheduled one-hour Netanyahu show. Would CAP’s leadership, beginning with CAP president Neera Tanden, the designated interlocutor for the Netanyahu speech, rise to the occasion and hold the combative Israeli Prime Minister to account for policies that many Democrats have questioned, or would the nonprofit think tank collapse in deference to the visiting head of state—especially since the leadership of the Center for American Progress has had strong relationships with presidential candidate Hillary Clinton. A review of the press coverage of the Netanyahu gig suggests mixed results for the Center’s performance, though leaning more to the negative than positive. In the end, it didn’t quite feel as if Netanyahu was walking into the lion’s den. Center for American Progress President Neera Tanden, a former Obama administration staffer with a background in domestic policy and health care, didn’t seem particularly inclined to challenge Netanyahu’s more misleading statements or ask follow-up questions, mostly allowing him free rein to make his pitch to American progressives. Perhaps to mollify in-house critics, CAP allowed five staff writers for the CAP online publication ThinkProgress, though making a big point of the outlet’s editorial independence from CAP, to lay out ten “falsehoods” that Netanyahu made in his conversation with Tanden. Beginning with Netanyahu’s contention that the expansion of Israeli settlements in the occupied West Bank was not a “core” issue impacting the potential of peace between Israel and Palestine, the misstatements of fact were obvious to most observers. Particularly eyebrow-raising were Netanyahu’s contentions that there have been no new settlements built in the past 20 years (because the Israeli government redefines the new settlements as extensions of Israeli “neighborhoods”) and that the settlements make up only a tiny part of the West Bank (ignoring that significantly larger areas connecting and around the settlements are designated as off-limits to Palestinians). These and other points in Netanyahu’s presentation were so excruciatingly obvious, the missing point in the ThinkProgress article was the needed scrutiny of why Tanden didn’t pursue these questions—or why perhaps she was unprepared to do so. ThinkProgress may present itself to be editorially independent of its parent organization, but sidestepping a critique of Tanden’s inadequate follow-up questions looks a little like polite self-censorship. Had Tanden read her own staff’s research, she could have drawn upon the data used in another ThinkProgress article to point out that the Israeli settler population in the occupied West Bank had more than doubled to over 547,000 since the 1993 Oslo peace accords. If she had been fully prepped on the extent on the settlements, she would have also been able to point out, as Beinart did, that the Israeli settlements not only take up more land than Netanyahu indicated, but are strategically located in places that cut deeply into the West Bank and divide Palestinian communities. It may have been that a more combative grilling by Tanden was simply not in the cards, particularly in light of the revelations earlier in the week from Glenn Greenwald’s The Intercept about emails leaked from the Center showing the pressure that Tanden and the Center were under from hawkish pro-Israel supporters of Hillary Clinton’s campaign such as Ann Lewis aimed at getting the Center to tone down the criticisms of Israel emanating from Center staff. Slate’s Keating mentioned another demonstrable falsehood. Netanyahu defended his fearmongering about Arab Israelis being bused to the polls by asserting that Arabs voted in larger numbers for him than for his Labor Party opponents, a statement somewhat similar to Donald Trump’s contention that he is getting overwhelming support from Latinos despite his characterizations of Mexican immigrants and his call for sending 11 million undocumented immigrants back to their home countries. In actuality, 82 percent of Arab voters voted for the Joint List, a coalition of four Arab parties, four percent for Labor, and only three percent for Netanyahu’s Likud slate. Tanden and CAP received a more positive review in the New York Times, which noted that Tanden welcomed Netanyahu “cordially” but asked some “pointed questions” about the settlements and about Netanyahu’s election eve warning to Israeli voters that Arab voters were being bused to the polls en masse. (She said that Americans were “taken aback” by Netanyahu’s statement, as opposed to a more widespread reaction about progressives who might have used stronger language to characterize their reactions to the racially charged statement.) However, unlike Tanden’s ThinkProgress colleagues, the Times did not correct Netanyahu’s factual misstatements nor question the less than vigorous follow-up questions from Tanden. 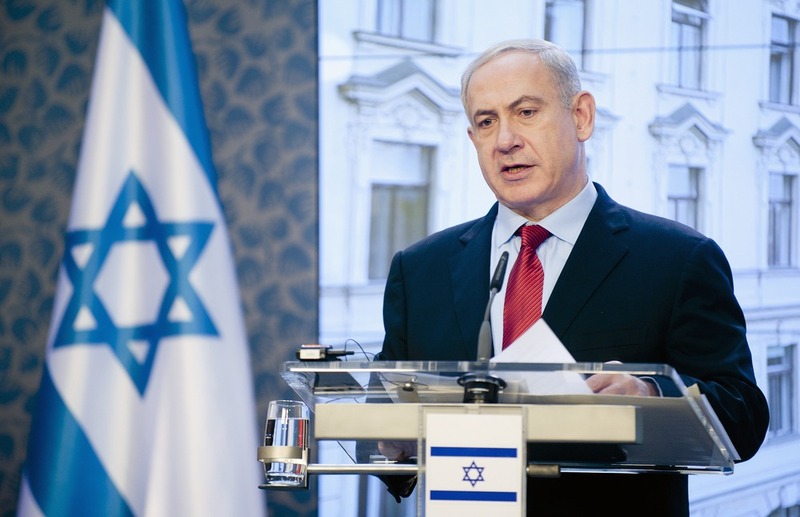 In the end, Netanyahu’s charm offensive sort of worked. As Nahal Toosi observed for Politico, “Benjamin Netanyahu stepped into a liberal lions’ den on Tuesday — and walked away with nary a scratch.” The Guardian summed up the event, saying, “Critics claim Netanyahu was able to make a number of controversial claims that were not challenged by Tanden during the session.” After being hailed the evening before by an American Enterprise Institute audience for his tough-guy approach to the Obama administration, Netanyahu got to pivot to present himself in somewhat more conciliatory garb for the Center for American Progress audience, friendly, accessible, open, even jocular. “We all wanted to move forward because we believe progress is impossible without dialogue,” Tanden said at the event, which is just what Netanyahu needed from the progressives—not an endorsement, but an open ear and a sentiment of consensus around his policy. Having read the full transcript of the Netanyahu talk and Tanden’s questions, one might conclude that Tanden was out of her depth as a domestic policy wonk doing battle with a very conservative, hawkish, implacable, geopolitically sophisticated Israeli prime minister. But there’s more. Whatever one thinks about his polices in the West Bank and his war against Gaza, Netanyahu is exceptionally smart and played to Tanden’s progressive instincts. Netanyahu got her to resonate with Israel’s purportedly policies of tolerance toward gays, Israel’s openness to women in the military (displaying “tushia,” or poise and courage), and Israel’s democratic structure and values, and he did it with a deft display of self-deprecating humor and charm. Expect the Center for American Progress to do its post-Netanyahu utmost to reestablish its credibility among progressives—and within its own staff, whose rebellion against the leadership reached the public in full force earlier this week. It is going to have to, because the explanations for the Center’s hosting Netanyahu and the softball interrogation have made this dubiously nonpartisan nonprofit look pretty clearly like a tool of two political campaigns, one Netanyahu’s to rebuild damaged ties with Democrats, the other the supporters of Hillary Clinton who don’t want to sacrifice pro-Israel voters or campaign donors in the run-up to 2016.